Purchase our class online with any credit/debit card. You will have 45 days to complete the class (takes roughly 4 hours). You will have immediate access to begin the course upon purchase. A certificate of completion issues immediately for downloaded, print, or email your certificate for the court. info@adraceu.com, Tel: 407-284-1925 or the “Contact Us” page submission. If you request indigent status fee click here to download a Parenting Course Indigent Status Form. Status is approved/denied ONLY based on submission of the form AND additional supporting documentation (i.e. pay stubs, tax returns). Welcome to The Alternative Dispute Resolution Academy(ADRA) “Parenting After Divorce” Course. We appreciate you choosing The Alternative Dispute Resolution Academy (ADRA) to complete the Florida Parenting Class Requirement. The “Parenting After Divorce” online class is approved by the Florida Department of Children and Family (DCF). Completion of this course will satisfy Florida County Courts requirement. This course is designed to educate, train and assist parents with minimizing the emotional impact on you and your children. Each parent must independently take and complete the course before the court will grant the dissolution of marriage. Parents may also take this course to learn about the impacts divorce can have on their family, as well as the best way to handle the difficult transition. Additionally, make sure you understand the process of filing for a divorce. Click here to view the DCF approval Letter. Florida Statute 61.21 requires that both parents involved in a divorce must take a four hour parent course if they have children under 18 years old. 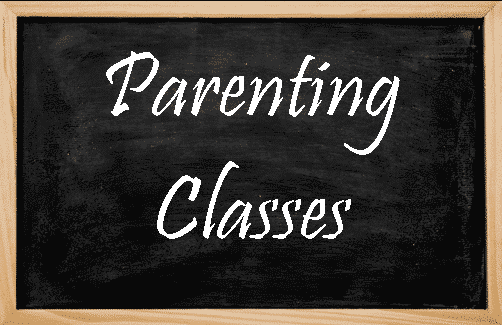 Per Florida Statutes 61.21 – Parenting course authorized; fees; required attendance authorized; contempt. The petitioner must complete the course within 45 days after the filing of the petition, and all other parties must complete the course within 45 days after service of the petition. For paternity actions, unless excused by the court pursuant to subsection (4), the petitioner must complete the course within 45 days after filing the petition, and any other party must complete the course within 45 days after an acknowledgment of paternity by that party, an adjudication of paternity of that party, or an order granting time-sharing to or support from that party. Parents receive valuable information about divorce and how it could impact them and their children. They also learn skills that they can use to help themselves and their children adjust appropriately to this major loss. This course can be completed at your own pace from the comfort of your own home. The 4-HOUR Parenting Class meets the requirements for Florida’s Parent Education and Family Stabilization Course. Florida family courts require that parents with minor children who are divorcing or separating take a parenting class, just like this one, before a judge can finalize visitation, custody or child support orders. After Divorce or Separation it will be difficult to find direction to .. What’s Next! . ADRA’s Parenting After Divorce Program and Instructors, consisting of Florida Supreme Court Certified. Mental Health Counselors and, Legal Advisors have added resources and courses to help you make you way toward “What’s next”.